One memorable senior homeowner we’ve had the privilege to partner with is Jeannie Mae. Jeannie Mae lives alone in the city. Her husband passed away 5 years ago. She has no family town but has a loyal friend who looks in on her. Jeannie is a retired professional who worked for a local hospital for over 40 years. She is also on a fixed income and receives Social Security and Medicare. She’s still fairly independent as she still cooks and cares for herself. She also still drives to the grocery store, pharmacy and post office. However, because of her age, limited income and disability she has had difficulty maintaining her home she worked so hard to acquire. 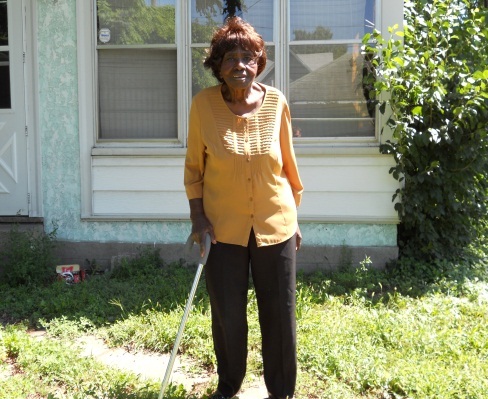 In 2010, Jeannie Mae was referred to A Brush with Kindness by a neighborhood group. Volunteers and staff from Twin Cities Habitat’s A Brush with Kindness Program helped Jeannie Mae make critical repairs and painted her home and garage. Also, the help came from a special guest. President Jimmy Carter volunteered on Jeannie Mae’s home while he was in the Twin Cities to highlight the work of Habitat. Jeannie Mae made this a reunion of sorts. When Jeannie Mae was a student at the University of Minnesota, Former President Jimmy Carter came and spoke to the students. At the end of the speech he invited “Jeannie from Georgia” to join him for a cup of coffee. Carter learned that Jeannie grew up not far from where Carter was living at the time. With the help of an old friend and many new ones Jeannie Mae can continue living in a safe, healthy home. What would happen to Jeannie Mae if we didn’t help her with home maintenance? When seniors can’t maintain their homes they often lose the option of living independently. They may have to move to nursing homes or assisted living facilities and rely on Medicaid to cover the cost. This is a very costly option for all of us, since it costs Medicaid an average of $64,000 per year for a nursing home stay in the metro area. 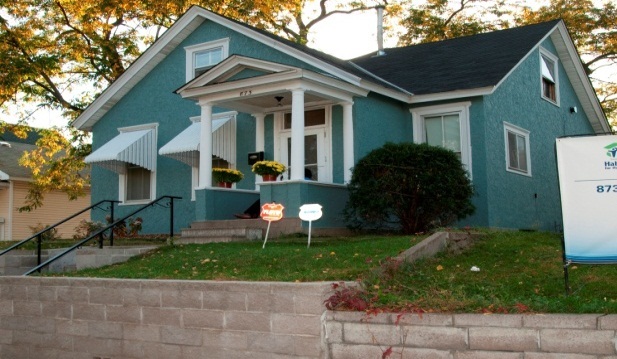 Helping seniors with home restoration is a much more cost effective solution. Half of the homeowners we serve are seniors. So it is crucial we share their stories effectively. Not only is serving seniors an incredible way to partner with our community to preserve homes and neighborhoods it is center to our mission of helping people live in safe, healthy homes.